No matter how long we live cross culturally and no matter how often we communicate in another language, there will always be cultural misses and lost in translation moments. I had one of those moments recently. The shower knob for the cold broke. The knob and the plastic piece that gets screwed into the backing separated and there wasn’t any way to just repair the knob, plus the size we needed is outdated and just doesn’t exist anymore. So we needed to replace the whole thing. David is very busy with work and I didn’t know where to start, so I asked our guard to replace it. He’s usually looking for odd jobs around the house to do on slow days. 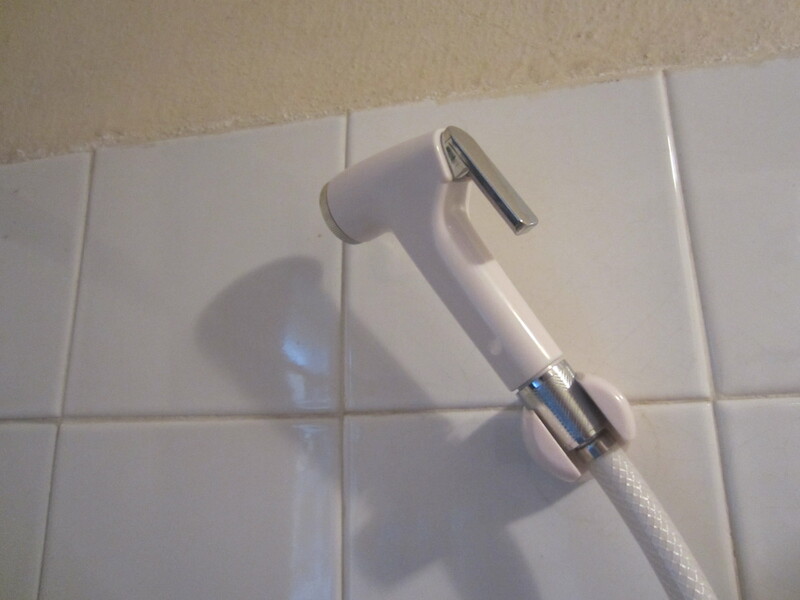 When he shared with me that the whole unit; knobs and shower pipe with head needed to be replaced, I told him we would prefer the flexible hose kind of shower with head. After giving him the money and going back to homeschooling Jonah, I trusted to him to do the job. After he finished the work and showed me the finished product, I’m sure I looked a bit puzzled. I wanted to burst out laughing because I knew my ideas of the finished product and his are quite different. I thanked him for his work, went into a different room and burst out in laughter. This entry was posted in home and tagged Cameroon, Kitchen sink hose, shower. Bookmark the permalink.